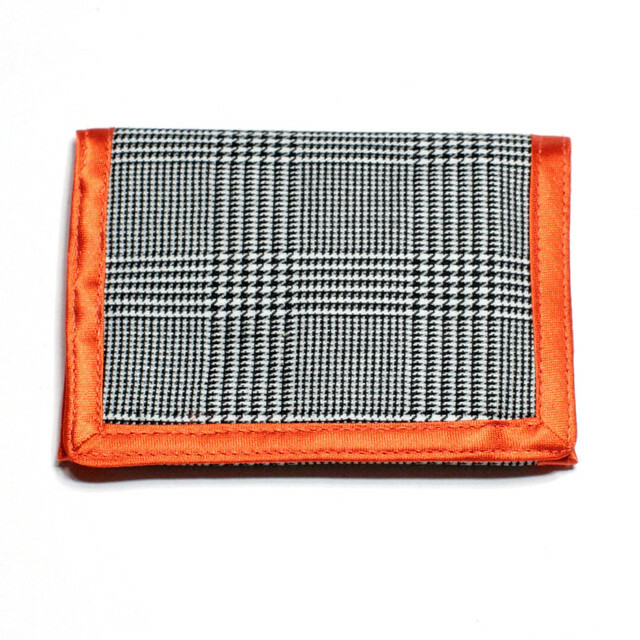 This eye-catching wallet is made from black and white Prince of Wales check fabric and orange corduroy with orange satin trim. 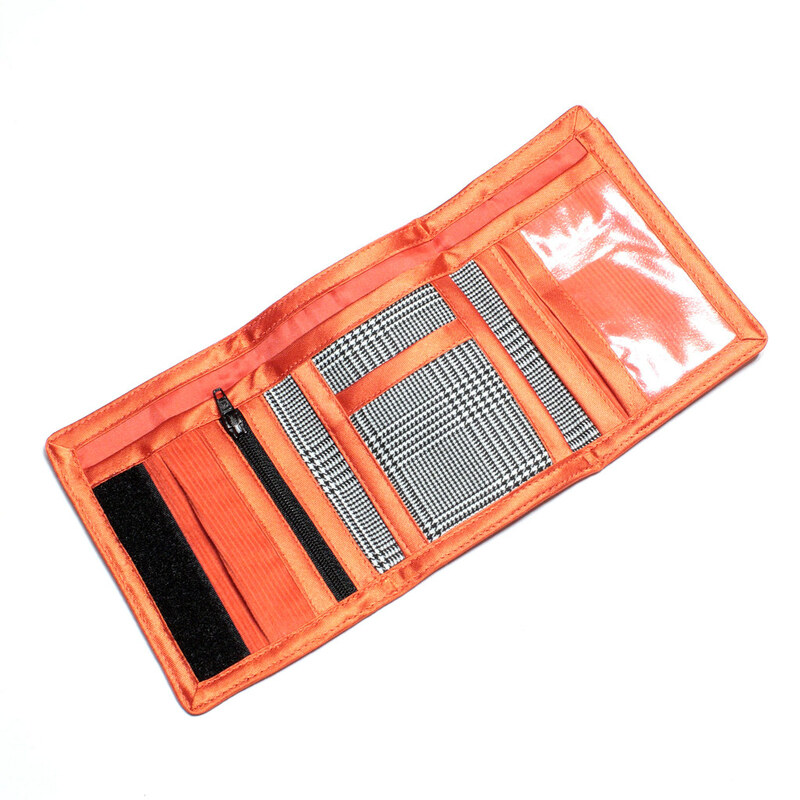 There’s plenty of room for your stuff – a zip pocket for coins, notes compartment, clear photo pocket and card pockets. This is a one-off, handmade by Suzie – the wallet you see pictured is the one you’ll receive.